America’s Work Force tackled the hot topic of the day, immigration, and how immigrants seeking asylum in the U.S. are being treated by border patrol agents. 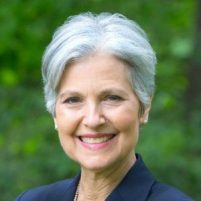 Jill Stein, a two-time Green Party presidential candidate, joined America’s Work Force on April 10 and talked immigration. She claimed President Trump instructed border patrol agents to turn away all immigrants coming towards the U.S.’s southern border, no matter their reasoning. Stein said argued such orders are against the law and these immigrants have a right to enter the U.S. to seek asylum, be released into the country after filing paperwork and have a court hearing to determine its validity. Stein then argued the money President Trump requested to complete the construction of the southern border wall should be put into funding immigration courts, which would allow more asylum cases to be heard and processed. This, Stein reasoned, would decrease the number of people in detention centers or the number of illegal immigrants who are caught and released. Stein felt the U.S. should focus on becoming a superpower of human rights. 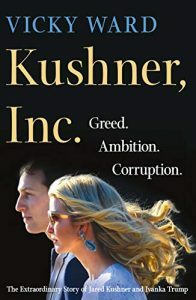 Also on the show was New York Times best-selling author and investigative journalist Vicky Ward, who spoke to AWF about her new book Kushner, Inc.: Greed. Ambition. Corruption. The Extraordinary Story of Jared Kushner and Ivanka Trump. AWF host Ed “Flash” Ferenc talked about the need to improve America’s infrastructure, as well as Bank of America implementing a minimum raise wage up to $20 an hour. BOA said they raised their minimum wage because their business has been doing well and they feel the success of a company should be shared their employees. America’s Work Force discusses communication giant AT&T, who after receiving corporate tax cuts, promised they would create 7,000 jobs for every $1 billion in profit, but has instead laid off 1,200 employees. Frank Mathews, from the Communication Workers of America District 4, spoke with America’s Work Force on April 9 about AT&T’s broken promise. He said AT&T claimed they needed the tax break because they were struggling. They the CWA that if they received a tax break, they would create more jobs. Unfortunately, AT&T got their tax break, but cut 1,200 jobs and offshored others. Mathews called this a tax scam since they did not follow through on any of the promises that they made it appears they will not make an effort to bring back those jobs. 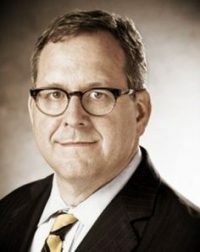 While on the topic of AT&T, Mathews talked about how AT&T’s midwest workers have gone nearly a year without a contract and are dealing with issues at the bargaining table. The company has employed union busting activities, such offshoring jobs and committing wage theft. Ariane Hegewisch, Program Director of Employment and Earnings with the Institute for Women’s Policy Research, talked about the need to get more women in the construction trades. According to her research, there is a lack of women in the construction trades due to a number of reasons including work-family issues, such as paid maternity leave. She did say, however, that the areas in the construction trades with a high population of women workers are laborers, painters, and plumbers. Hegewisch estimates there are approximately 275,000 female workers construction workers in the U.S, which account for 3.4 percent of the industry’s employees. AWF host Ed “Flash” Ferenc discussed Bernie Sanders’ latest speech to the International Association of Machinists and Aerospace Workers. FirstEnergy Solutions is filing for bankruptcy in a restructuring plan, which if approved, would officially separate the subsidiary from FirstEnergy Corp., the energy distributor. 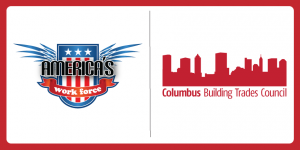 Ohio Consumers Counsel Public Affairs Director Dan Doron joined America’s Work Force on April 8 and discussed the FirstEnergy Solutions’ bankruptcy plan. According to Doron, the FirstEnergy Solutions bankruptcy plan would allow FES to avoid paying cleanup and decommissioning costs for their two nuclear and coal powered plants, which are scheduled to be shut down in the next few years. Their plan would push the remediation costs on to taxpayers. The FirstEnergy Solutions bankruptcy plan was rejected by a federal bankruptcy judge who ultimately said the plan abused the bankruptcy system. While on the topic of utilities, Doron also brought attention to door-to-door scam, where scammers act as utility provider representatives and provided information on what to do if you have fallen victim to one of these scams. 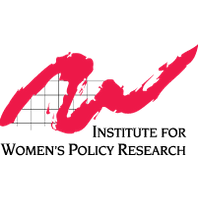 Nicole Svajlenka, Senior Policy Analyst with the Center for American Progress, spoke to AWF about illegal aliens in the United States. She advocated on behalf of the Deferred Action for Childhood Arrivals (DACA), arguing Congress needs to extended protections for the “dreamers.” Last year, President Trump made an offer to Democrats to extended protection for the “dreamers,” but Democrats under the leadership of Nancy Pelosi and Chuck Schumer turned down the offer, as they did not want to compromise with the president. Svajlenka also discussed the American Dream and Promise Act, H.R. 6. 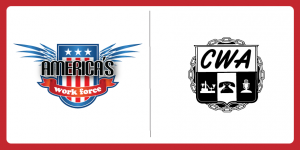 AWF host Ed “Flash” Ferenc also talked about job growth in the service sector. On April 4, former Ohio Attorney General Marc Dann spoke to America’s Work Force about protecting consumers and holding banks accountable. Marc Dann, who now works at the Dann Law Firm in Cleveland, talked about his law firm fighting for consumer protection and privacy. Some of the cases that his firm takes on are cases involving banks sequencing a consumer’s checks, anticipating them to bounce, and then the bank collects the bounced check fee. Dann talked about how banks are not the only companies taking advantage of consumers and how event government agencies, such as the DMV, prey on consumers. He said that DMVs have a fee to laminate drivers licenses when they print them, but will charge the fee whether the service is completed or not, costing consumers $1.50. Dann stated that might not seem like a lot of money to one person, but when it happens to millions of people, it adds up. Senator Sherrod Brown spoke to AWF on April 4 about getting people into the trades and protecting workers. He discussed the work opportunities, tax credits, and jobs act which helps workers get ahead and receive proper pay and benefits for the hard work that they are putting in. Lastly, Senator Brown talked about the Great Lakes restoration initiatives. AWF host Ed “Flash” Ferenc talked about two female Disney employees filing a complaint with the company over wage discrimination and filed a suit to reimburse them with wage and benefits compensation that they felt like they had been deprived of. University of Illinois at Chicago Strike Discussed on America’s Work Force. 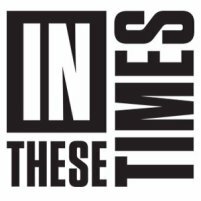 On April 3, Hannah Steinkopf-Frank, contributing writer with In These Times Magazine spoke with America’s Work Force about an on-going strike at University of Illinois. Steinkopf-Frank talked about the teaching assistants and graduate assistants at the University of Illinois who are on strike for a 24 percent salary hike over the next three years, among other benefits. She said since the strike began, there has been no progress made at the negotiation table but the teaching assistants and graduate assistants are not giving up. Teachers have been standing by their students and joined them on the pickett line and have been marching with them. Steinkopf-Frank also spoke about Lori Lightfoot, the first African-American woman to be elected mayor of Chicago. Mary Dale Walters, vice president of consumer sales and marketing for Allsup, talked to America’s Work Force about business hiring individuals with disabilities and the benefits that come with it. She also discussed the Secure Work Coalition, which aims to help beneficiaries of disability programs return to work. Lastly, Walters spoke about the 4,725 disabled workers who found employment opportunities in Ohio in 2018. AWF host Ed “Flash” Ferenc talked about equal pay day, held on April 2, as well as the paycheck fairness act. 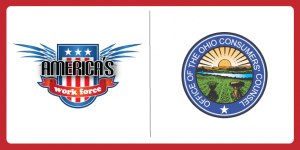 On April 2, Tim Burga, president of the Ohio AFL-CIO joined America’s Work Force to discuss the newly proposed budget in Ohio. Burga spoke about Governor Mike DeWine and his proposed gas tax and the purpose behind it. DeWine proposed an 18 cent gas tax increase so that Ohio could use the money to rebuild and improve state infrastructure. The Ohio House countered DeWine’s gas tax increase proposal by saying they will accept the gas tax be increased by 10.7 cents. Burga said that the good part about the gas tax increase is that it will be used to build or improve infrastructure, creating jobs for Ohio workers. Lastly, Burga talked about workers gaining more power by working collectively for change. Scott Paul, executive director of the Alliance for American Manufacturing spoke with America’s Work Force about keeping jobs in America. He talked about Chinese state-owned companies that are going around and underbidding companies in the United States by millions and performing shoddy work, costing the state more in the long-run to continue to use their business. He said, at first, using the lower bidding companies saves money, but costing more and more to maintain and improve as the years go on because of the poor quality of work that was done. Paul also talked about the new NAFTA, United States-Mexico-Canada Trade Agreement, and how he would like to see it include more protections for workers. AWF host Ed “Flash” Ferenc talked about the 14 employees from the Plain Dealer who were laid off on April 1. In an obvious union busting move, 14 members of the News Guild lost their jobs at the Plain Dealer due to “downsizing”. 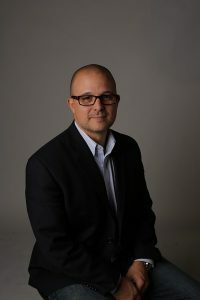 On April 1, Mark Gruenberg writer with Press Associates Inc., discussed the potential 2020 presidential candidates. Gruenberg spoke about the list of potential candidates for the upcoming 2020 presidential election. He discussed Joe Biden being incredibly high up on the polls for not even having announced his candidacy yet. Gruenberg then went on and discussed Michelle Obama’s book tour and how she has not been using union laborers to set up her stage production. He said that this is a big problem because of her husband, Barack, positive stance on unions and union workers. Gruenberg also talked about labor law reform along with equal work for equal pay laws being put into place. 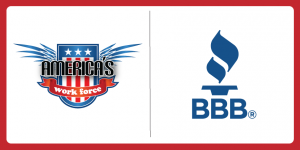 Sue McConnell, president of the Better Business Bureau, spoke with America’s Work Force on April 1 about new scams that people have been falling into. One of the scams regards bitcoin where a scammer would pose as someone from the IRS or a utility company and tell you that you have to make a payment as soon as possible or you will suffer a consequence. The scammer then sends the victim a QR code that they scan at a bitcoin kiosk linked to the scammer’s account and wire money to the scammer in order to prevent whatever the fraudulent consequence was. A second scam that McConnell discussed was a kidnapping scam where a scammer would call a victim and tell them that their loved one has been kidnapped and they will let them go if they pay off their ransom. 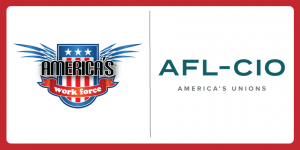 AWF host Ed “Flash” Ferenc spoke today about workers in Illinois fired for going on strike that was legal under the National Labor Relations Board and have now filed a complaint against their former company. 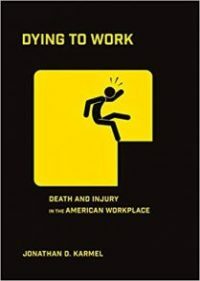 On March 29, Jonathan Karmel, author of the book Dying to Work: Death and Injury in the American Workplace spoke with America’s Work Force about workplace injury and death. Karmel, who is also a lawyer who represents labor unions in the midwest, discussed many injuries occurring on-the-job because of lack of proper training. He said that when workers are not properly trained, they become a danger to themselves and their co-workers around them. Karmel stressed that many workplace incidents are preventable and if workers were provided with proper training, they could be avoided, completely. He then explained the difference between an accident and an incident. An accident is something that could not have been foreseen and an incident is something that could have been preventable. Using these definitions, Karmel said that most injuries and deaths that happen on-the-job are incidents due to lack of training. 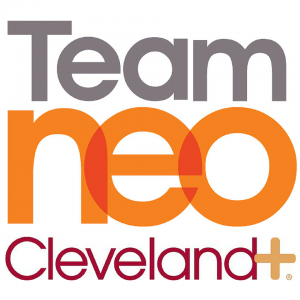 Jacob Durtisky, vice president of Team NEO, spoke with America’s Work Force on March 29 about the future of manufacturing in Northeast Ohio. He said that within the next decade, there will be thousands of jobs in need of replacement due to an old workforce getting ready to retire. Duritsky then discussed the need for new workers to be experienced in IT skills on the manufacturing floor to account for the new technology being developed and implemented into the industry. AWF host Ed “Flash” Ferenc discussed a worker victory at McDonald’s for the Fight for $15. McDonald’s, the world’s second largest employer, will no longer be lobbying against a pay hike at local or federal levels. 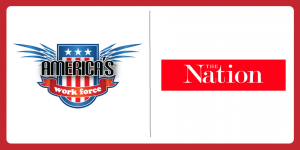 On March 28, Rich Yeselson, writer for the Nation Magazine, joined America’s Work Force to discuss his new article that focuses on American strikes. Yeselson spoke about his newly published article on the Nation Magazine’s website called An Injury to All: The Past and Future of the American Strike. This article reviews important strikes in American history and the outcomes and lasting effects that they had in the workforce. Yeselson also talked about the lockout of 1,700 members of the United Steelworkers (USW) at the Ravenswood Aluminum Corporation (RAC) in Ravenswood, West Virginia among other shady business deals involving Marc Rich, controller of the RAC. Lastly, he talked about how to strengthen the labor movement. Financial planner Dan DeVerna spoke with AWF on March 28 about shifting more responsibility onto people when dealing with their pension plans. 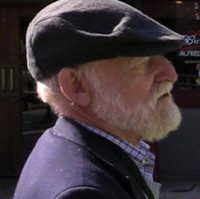 He talked about workers deferring more and more of the weekly pay into their retirement plans and how age is a factor in how much you are allowed to put into it. DeVerna also discussed what would happen to the money a person had saved up after they die and who it would all go to. AWF host Ed “Flash” Ferenc spoke about remembering those who lost their lives during the Triangle ShirtWaist Fire.